Once again my favorite Representative from New York Anthony Weiner challenges Republicans aka ‘Party of No’. 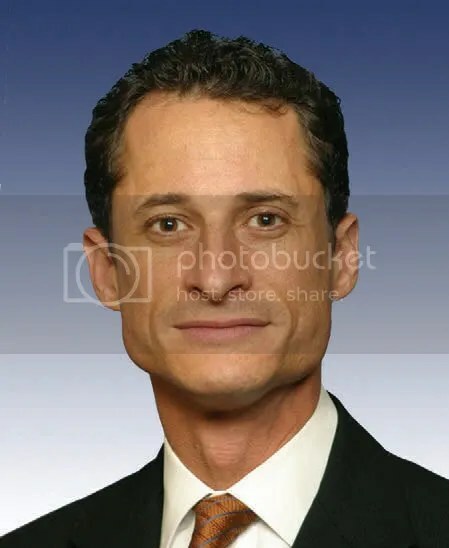 Weiner in response to his fellow Representative from New York Peter King (R) went on another tirade calling out Republicans; if you recall Weiner on the same House floor called out Republicans during the Healthcare Reform debates (Takeover Thursdays – Anthony Weiner). This time around Rep. Peter King (R) has sponsored a bill for 1st responders to 9/11; this bill would set aside $7.4 billion in additional aid to those suffering from health complications as a result of the toxins released after the 9/11 attacks. Of course this a bill that everyone should support; Democrats decided to put the bill through a procedure (Suspension Calendar) that would prevent any unnecessary amendments to be added to the bill. Suspension of the rules is a procedure generally used to quickly pass non-controversial bills in the House of Representatives; the one caveat is that you need 2/3 Majority for passage. On Friday (July 31st) the 9/11 Responders Bill was brought up for vote; before the vote was taken Rep Peter King (R) (sponsor of the bill) spoke and called out Democrats for using the Suspension procedure. Saying that using this procedure made it impossible for the bill to pass; as he continued not once did Rep. King ever ask his fellow Republicans to vote for this bill. Maybe I missed something but aren’t the Republicans always talking about never forget 9/11?? Well it seems they have forgotten 9/11 as they decided to choose politics over common sense; Republicans would rather say no to dealing with Democrats instead of choosing to side with the heroes of 9/11!! The 9/11 Responders Bill would not pass as only 10 Republicans (including Rep King) voted yes; 159 voted against the bill. As Anthony Weiner would go on to say “Shame” on the 159 that voted against this bill. Moments after the bill was voted down Anthony Weiner gave one of his more passionate speeches…. I can’t say enough about Anthony Weiner, he is one of the few Democrats that will stand up and tell like it is. The best thing about Weiner is that even though he has shown much passion during these classic moments he still makes sense; there is no rambling. On Monday (8/2) Weiner defended his speech on MSNBC’s Morning Joe, he continued to point the finger to Republicans who fail to look at themselves in the mirror and recognize where the real issue lies. Republicans are so consumed with the November elections and getting rid of President Obama that they will say ‘No’ to any bill that could be seen as progress for the Obama Administration (Healthcare Reform, Financial Reform, Unemployment Benefits, Jobs Bill etc..). When will Republicans put the country instead of their party first??? Keith Bulluck farewell to Tennessee Titans’ fans…. I hope Republicans keep saying “no”. No more spending, No more government take-overs, No more government interference in daily lives of Americans, I hope they say “NO” to broadband being your civil-right. The reason they can’t vote “yes” on some bills is because democrats load those bills with ‘pork’. Or write a bill that is so massive even they haven’t read it and noone knows what it contains or how it will be implemented. Thank God Republicans voted no on ‘so-called health-care reform’. If only we had a few Democrats with that courage. Many democrats now wish they had. Yes, I know some Republicans are as bad as Democrats, hence the ‘Tea Party’.